I tapped on the brakes lightly and intermittently. 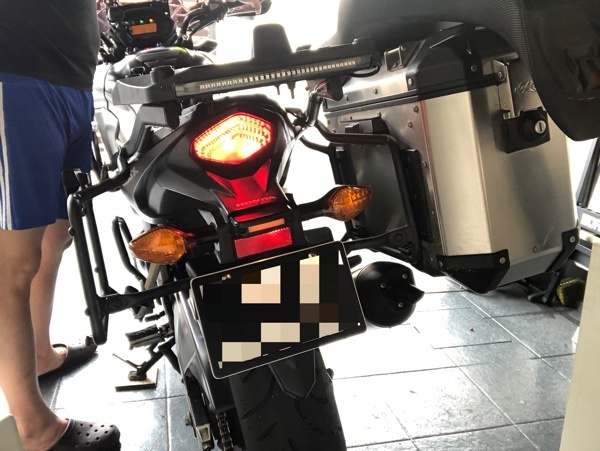 The CB400X brake light connector. 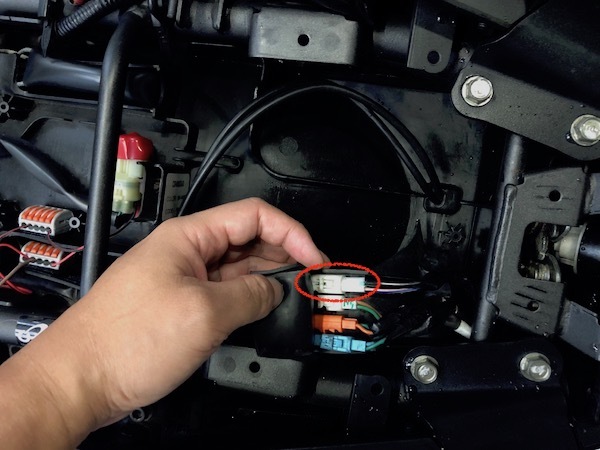 The CB400X brake light wires and connector can be accessed from the LHS of the bike underneath the seat. 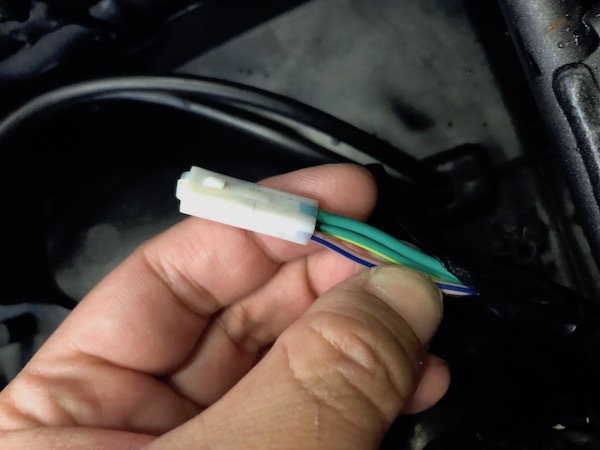 While I haven’t figured out what the other connectors are, I’ve traced the brake lights to the right-most connector (it was the only 3-wire connector anyway). The brake light connector removed. To test if it was the correct connector, I gently disconnected it and turned the ignition on. True enough – the brake lights went dead. 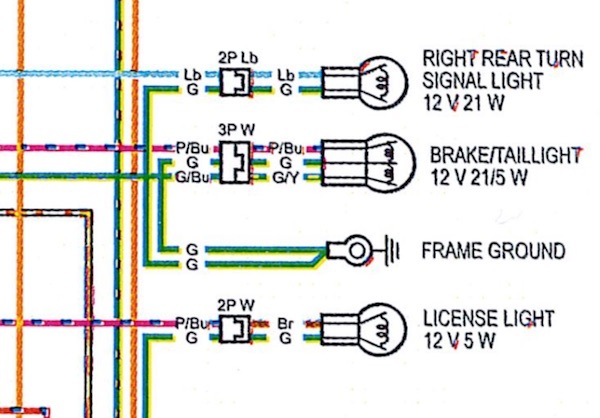 The CB400X / CB500X brake / tail light wiring diagram. The brake / tail light has 3 wires. The GREEN wire is GROUND, GREEN-YELLOW is for the BRAKE light, and PURPLE-BLUE wire for TAIL light. For the purpose of this exercise, I tapped on the GREEN and GREEN-YELLOW wires for the aux LED brake light. 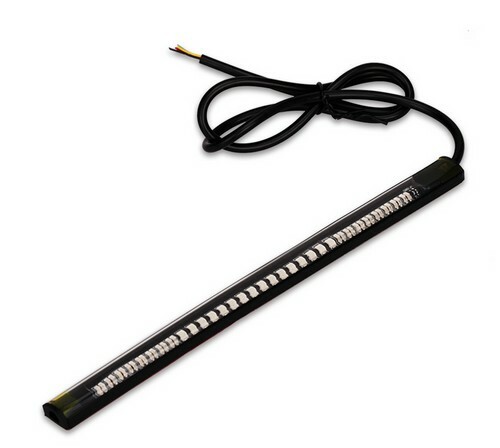 The simple LED strip brake light kit. Tail light ON – no brakes. Tail light AND brake light ON. Success! 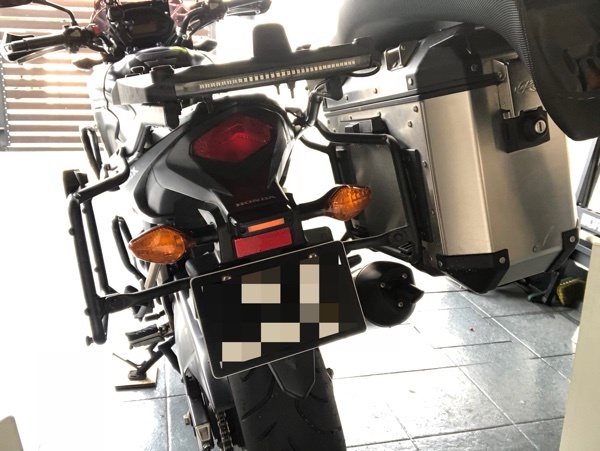 LED auxiliary brake lights installed on my CB400X. Viola! LED brake lights installed! 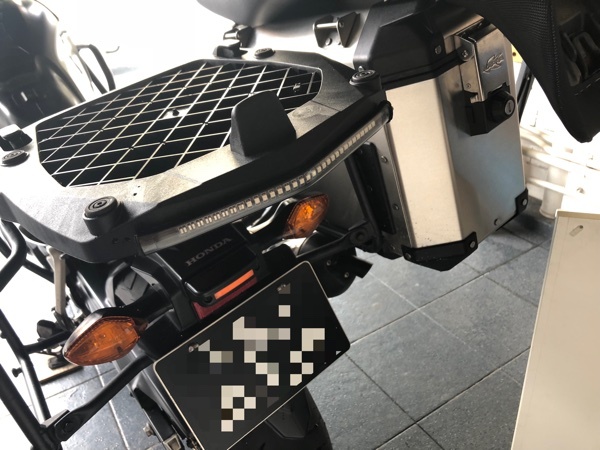 This will definitely give better braking visibility to vehicles following behind. Awesome idea, but how about when the top box is on? I was thinking of adding a light that stays on instead, like a rear fog light function. May I know how do you do the physical tapping on the wires? Do you have to splice the original cables? Yes, I have to splice the wires. 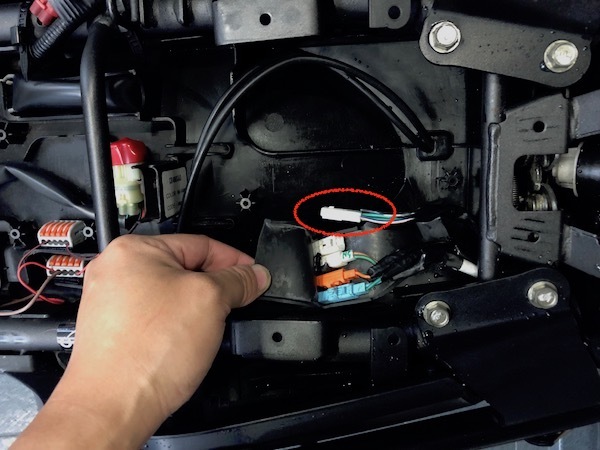 Hey Zed I have just discovered that the GREEN/BLUE wire on the OPTION connector supplies 12V when the brakes are activated! This is a better way to access the brake signal than splicing the original cables. I purchased it from an online Chinese site.